NCPERS March Monitor is Now Available! NCPERS Washington Update for 3-17-2017! Register for 2017 ACE, TEDS, & NAF programs! "Our survey shows that Congress' actions to limit state flexibility to address retirement insecurity are seriously out of touch with the will of voters," says AARP Executive Vice President Nancy LeaMond. A San Diego state legislator and two other Assembly members have introduced a bill that would require California's pension funds to divest from companies involved in building the border wall championed by President Donald Trump. (Connecticut) Stevenson spoke out against H.B. 7050 - An act concerning enhancements to municipal finance and responsibility - in front of the state's Revenue, Finance and Bonding Committee on March 9. She was in Hartford just two days earlier opposing a bill that would force municipalities to form regional health departments. (Florida) The campaign to close Jacksonville's pension plans to all future employees got back on track Monday when the International Brotherhood of Electrical Workers reached a tentative agreement with JEA a week after the union's members rejected a previous offer. Governor Bruce Rauner will give Chicago Public Schools the $215 million it needs-but only if the Illinois General Assembly passes a pension reform bill. Kansas legislators showed Thursday that they have little appetite for cutting spending immediately to get the state through June without a budget deficit until it can collect new revenue from higher taxes. A bill which addresses the shortfall in funding required to meet the portion of Maryland state teacher pension costs that exceed costs anticipated during the 2012 "pension shift" is on the move in the General Assembly. Moody's Investors Service is taking note of the city's plan for a dedicated fund to cover its future pension costs, a move the administration hopes will lead to an improved credit rating. (New Jersey) The state Senate has passed legislation that would give police and firefighters the right to manage their pension fund and its investment portfolio. (Pennsylvania) Public pensions: Senate Republicans have announced they are teeing up another bill to change public pension benefits of most new state workers and all new public school teachers. Mayor Sylvester Turner argues the package is needed to balance the city's budget and to address a long-term budget crisis. 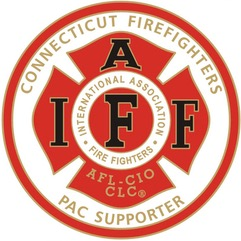 Firefighters say they're being treated unfairly. About 200,000 retired public employees in the Wisconsin Retirement System will receive a 2 percent pension payment increase starting in May. You are right in identifying the underfunding of teacher pension funds in Puerto Rico as a big problem: Teachers and public employees have fulfilled their commitment to their pensions by contributing year in and year out, yet politicians failed to properly fund them and engaged in risky financial bets that made things only worse.